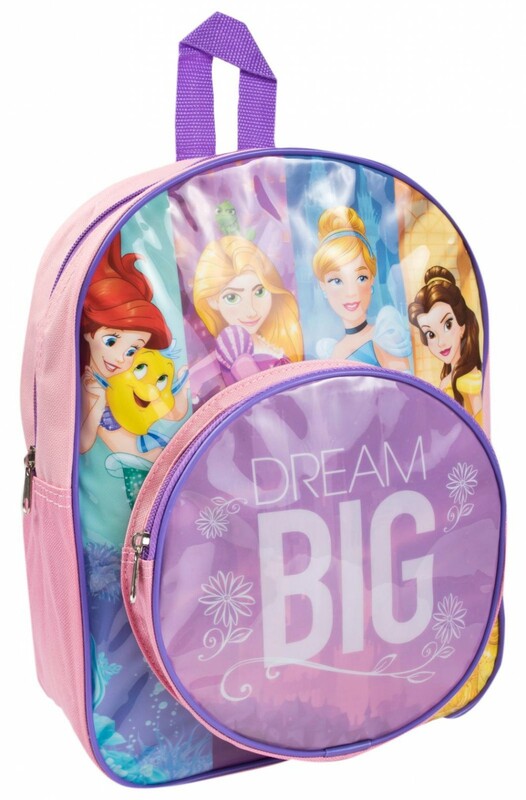 Official Disney Princess backpack. 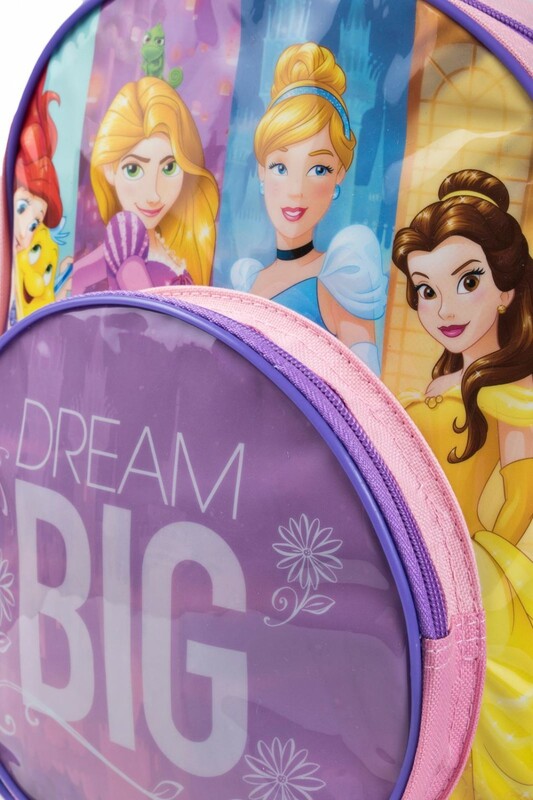 The bag has various images of the much loved Disney Princess includeing Cinderella and Ariel. 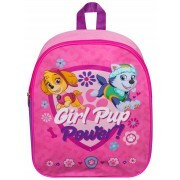 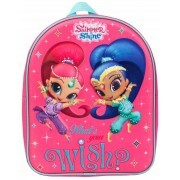 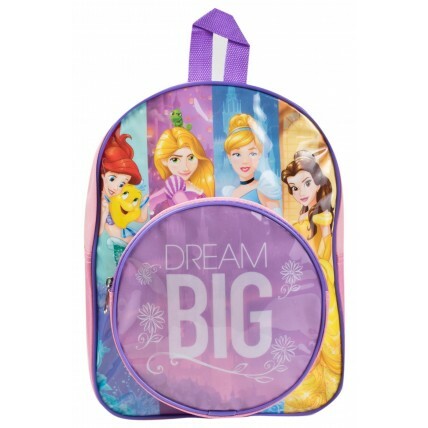 The bag features a smaller round zip front pocket with the slogan "Dream Big" and has a full zip closure, two shoulder straps and a top carry handle. 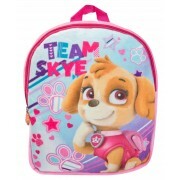 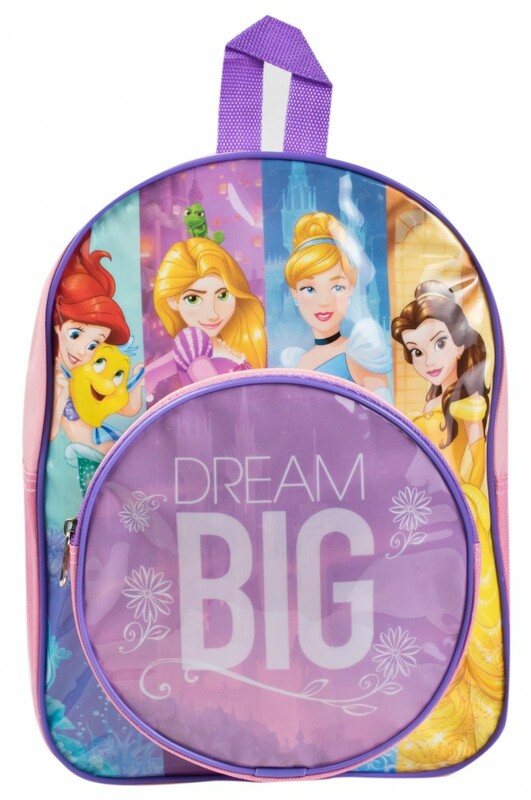 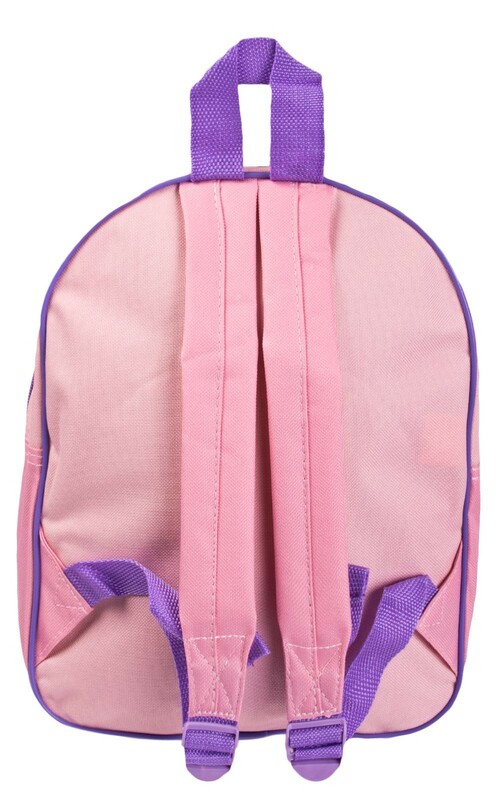 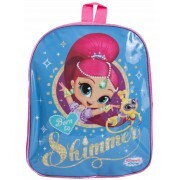 This backpack is perfect for any young Disney fan.